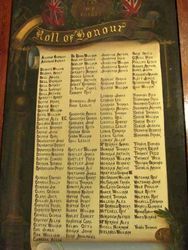 The honour roll commemorates ex-pupils of the school who served in World War One. There was a splendid attendance of parents and friends at the school on Friday afternoon, when the school honor roll was unveiled. Mr Henderson, inspector of district schools, said he felt it an honor and a privilege to be present at the unveiling of any honor roll. 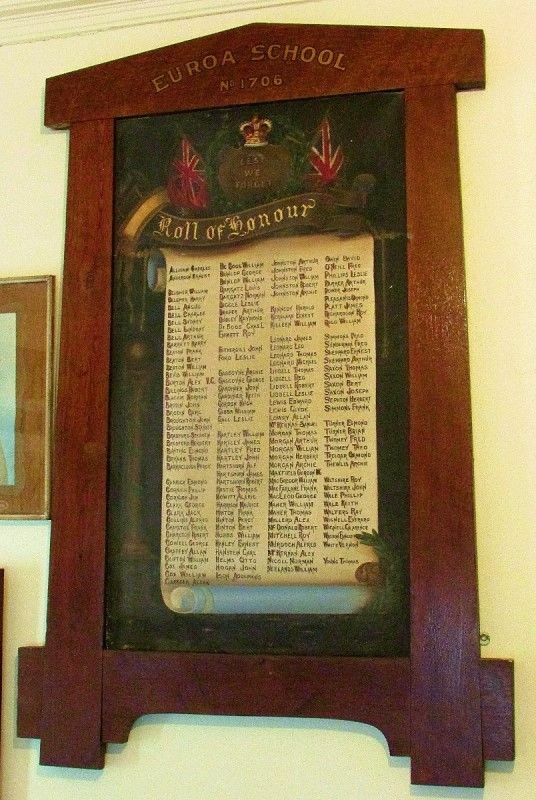 Visitors then inspected the honor roll, which is a very handsome one, the work of Mr F. H. Parsons, who also donated it to the school. It is of original design, showing a scroll suspended on a rod by cords. On this is inscribed the names of 147 ex pupils who have joined the A.I.F. 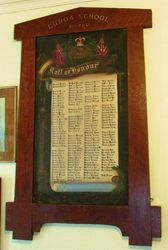 Above the scroll is a shield on which is the motto "Lest we Forget." This shield supports the Royal Crown in gold and colors and from the corners hang the Union Jack and the Australian flag. At the side of the scrolls is a classic column wreathed with laurel and crowned by a globe. 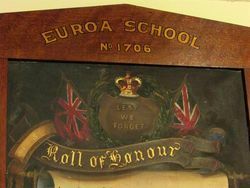 The whole is enclosed in a substantial oak frame, forming an artistic and unique design which will be a permanent record and which met with the commendation of the Minister and Director of Education when they visited the school at the official opening. Euroa Gazette (Vic), 28 May 1918.